ATLANTA, GA, 19 January, 2016 – Stibo Systems, the global leader in multidomain Master Data Management (MDM) solutions, today announced that the Army & Air Force Exchange Service (AAFES) has selected Stibo Systems’ STEP MDM solution to drive its digital transformation initiative. AAFES will leverage STEP to streamline its new product introduction and supplier adoption efforts, improve data quality, automate data governance, increase SKU assortment, maintain cross references between product numbers, and publish accurate product information to both print and ecommerce catalogs. With 2015 annual revenue of 9.2 billion, AAFES is a top 100 retailer that operates department stores, convenience stores, restaurants, movie theaters and an Internet shopping site to serve soldiers, airmen and their families. In addition to U.S. bases in Germany, Italy, England, Turkey, South Korea and Japan, the Exchange operates stores for U.S. troops in Iraq, Afghanistan and other countries in the region. 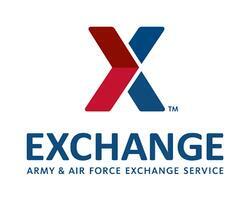 The Exchange ensures soldiers and airmen have access to U.S. goods and services, wherever they serve. The Army & Air Force Exchange Service goes where Soldiers, Airmen and their families go to improve the quality of their lives through goods and services provided. Exchange earnings provide dividends to support military morale, welfare and recreation programs. The Exchange is part of the Department of Defense and is directed by a Board of Directors, responsible to the Secretaries of the Army and Air Force through the Chiefs of Staff. To find out more about the Exchange history and mission or to view recent press releases please visit our Web site or follow us on Twitter.